Whether your home is involved in a fire, suffers water damage from flooding, or has mold, there are steps you can follow to reduce the anxiety and financial worries concerning your situation. Where can I seek money to repair this mess? In the case that you do wish to file a claim on these damages, the McAllen bad faith insurance attorneys at Millin & Millin can guide you along the journey towards obtaining compensation. One of the first steps you might want to take is to reach out to a Disaster Relief agencies and there are many reasons why. What are disaster relief agencies? A disaster relief agency is an organization that is trained to assess the damages caused by a variety of incidents. These organizations can assist you in dealing with your insurance company to help restore your home. Individuals working for disaster relief agencies can answer many of the questions that may be on your mind. Additionally, they can aid you in cleaning up the mess, help you to gather evidence for your claim, create an estimate for restoration of damages, and help you to deal appropriately with your insurance adjuster. Some agencies even render the aid themselves and can help to rebuild your home. What should I do in case of a disaster involving my home? The first step to dealing with a disaster is to make sure all of the home occupants are safe. If trouble does arise, contact emergency responders such as the fire department in case of a blaze. Next, you will need to assess the damages yourself. Consider if the home is safe to remain in or if it is best to evacuate and seek shelter. If the home is safe enough to enter, assess the damage and take pictures as well as video to document the damages. DO NOT, by any means move, rearrange, or try and clean up the damages. If you need to file a claim with your insurance company, they will need documented proof of the damages caused by the disaster. If you attempt to clean up the damages yourself, your insurance company may attempt to place fault on you. Contact a public adjuster to thoroughly inspect your roof. They can provide you with the expertise and insight to help you build a better case for your claim. Make sure to get a written report and estimates for the damages. Document your losses and the damage sustained by your home by taking photographs, video, and plenty of notes. The more information you have, the stronger your claim. Along with documentation of your losses, make sure to keep copies of invoices and bills that you have to pay related to the damages. Contact your insurance provider immediately after the damages have occurred to begin the claims filing process. You’ll also want to ask them about what types of repairs you can make to stop any additional damages from occurring. Ask questions about your deductible, the process, and request any other information you might not be familiar with. Fill out the proper paperwork and get it to your insurer within the specified time period. Be prepared for a fight. You are entitled to your rightful compensation and insurance coverage but your insurer may not necessarily agree with you. 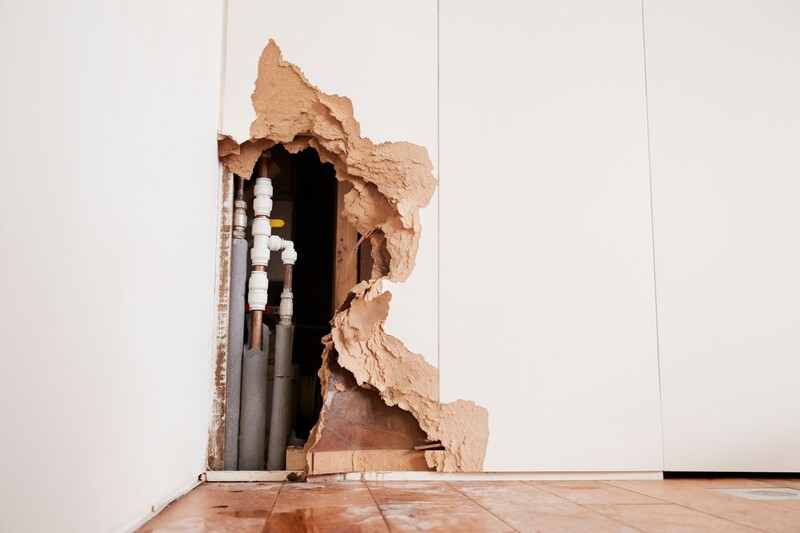 Are Your Home Damages Compensable? The type of disaster that has impacted your home. Areas that are damaged and to what extent. Coverage available under your specific policy. The amount of time it took to file a claim with the insurance company. The experienced McAllen bad faith insurance lawyers at Millin & Millin know the schemes of insurance companies that want to reduce the value of your claim or outright deny it. Get on the path of rebuilding your home by calling the legal experts at Millin & Millin today at (956) 631-5600.